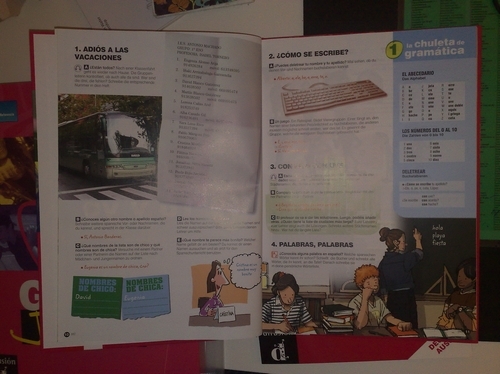 What you see here is the first page of a brand new textbook for 12-year-old German kids who want to learn Spanish (as a foreign language). It starts with a listening comprehension unit and provides relatively short exercises throughout the whole textbook. Nothing really new so far, but with the difference that most pages come within a teen magazine style. And that’s exactly the trend today: providing small bits of information which may then be served to the inattentive YouTube generation – a new generation used to max. 10-minutes videos online, single mp3 files instead of complete (music) albums, Google-able knowledge and interests for specific topics (only). This development, however, is not as bad as it may sound in the first place. Sure, today’s kids may find a different learning environment than what we had when we were kids, and one could argue if a school should continue supporting this open, free & easy approach. But then, in today’s world where everything and everyone needs to be *special*, needs to have specific knowledge on something and thus requires much more of this *modular knowledge* (as I call it – modular, as in exchangeable), it’s very interesting to see that publishers are already starting with textbooks to adopt to new learning (teaching?) methods. It’s not that things had really changed over the years when it comes to language textbooks. 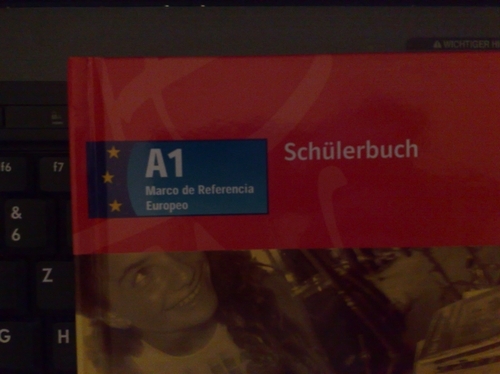 I remember having a longer discussion with my mum many years ago on such a topic where we were both wondering about the very strange and embarrassing approach in textbooks for German as a foreign language (Deutsch als Fremdsprach, DaF). Some of those exercises were just so….ouch! + *sigh* + out of this world. 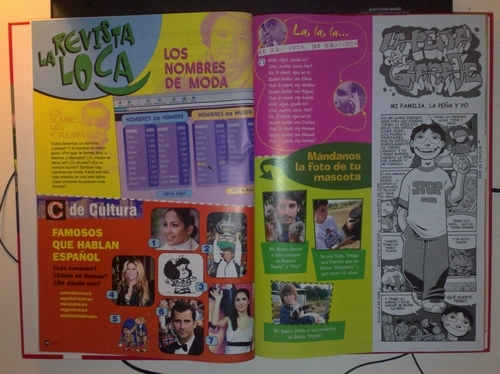 The real difference between this DaF textbook back in the days and today’s “Gente Joven” Spanish textbook is that the latter is focused on the YouTube generation. Now, if we argue that the next generation is our biggest asset – how will they perceive this world in future, how will this upcoming generation positively influence the future and in which way does their specific knowledge, paired with a healthy ambition to win competitions, contribute to the future? In the end, it all starts with what we’re providing them with right now – as much as our own success is based on previous generations (e.g. the creation of programming languages and integrated circuits, implementation of a world-wide IT network, etc.). … which provides “clear standards to be attained at successive stages of learning” and helps to evaluate “outcomes in an internationally comparable manner”. I wish we already had this system way back in school! Clearly, the harmonization of (language) learning levels and setting of standards is a very good way to create a common basis in Europe. Imagine the problems I am always having explaining my German degrees to the English speaking world… and again, Europe is becoming such a modular world.